I don’t normally discuss politics or national news on this blog; I typically devote all my articles to learning about God and how to walk with Jesus. I hope you’ll indulge me, just this once, in a short commentary on current events. Brilliant flashes of colorful fireworks set the faces of my children aglow beneath the darkening Texas sky. We reveled in our new-found Texas freedom and the love of country that swells in this region of the United States. I was thankful to live in this nation, in spite of the issues that plague us. Monday feels like an age ago. This week has been traumatic for Lady Justice and her best friend, Wisdom. They weep unrestrainedly at the black events of the past few days. On Tuesday, the FBI washed their hands in Pilate-like fashion of the blood of Americans murdered in a preventable, yet cowardly attack in Benghazi. Carelessness by a top official was treated as no great offense. It only resulted in sensitive information falling into the hands of our enemies. It only contributed to the death of a few Americans. It only compromised our national security. It could have been prevented, but, in the words of the offender, “what difference does it make?” My dear, it makes all the difference in the world when you ask for the privilege to lead people whose lives apparently matter very little to you. The FBI admitted to the commission of a crime, but refused to take legal action. Why?! Only God knows. I’ll spare you my little theories, for that is all that they are. Justice wept bitter tears.Wisdom cried aloud in anger. Last night, the country witnessed a cowardly attack on law enforcement. Eleven officers were shot and five were killed. Five circles of influence shattered. Five sets of families are left with a gaping hole. Six people with survivors guilt. Six people who will suffer the life-changing agony of post-traumatic stress disorder. Six families who have to relearn how to live with the one they love, because that person will be forever changed. Put yourselves outside of your life and into the shoes of these people. Imagine how you would feel if that was your father, fiancee, or friend? These families are suffering, and all the news can talk about is how two police shootings sparked this deadly attack. How about we talk about compassion for those left behind? How about we send messages of support during their time of grief? How about we make sure there is funding for counseling for all those involved? How about we talk about the trickle down effect of disregard for law? How about we realize that our country has given evil far too much license? How about we focus on our very broken (and corrupted) justice system? Instead of criticizing cops, what if we were to give them what they needed, which is leadership that upholds the law instead of undermining it (and administers appropriate discipline towards them when necessary)? Our President responds with shock. How touching. Maybe if he hadn’t undermined the authority of law enforcement throughout his tenure, we would not be seeing the tragedy that unfolds before us today. On Monday we celebrated independence. On Tuesday, the powers that be rendered our independence to be unmerited. On Thursday, we experience tragedy. There is a new kind of tyranny at work today, and our country is enslaved by it—the tyranny of the entitled. They demand everything without the willingness to give anything. They overturn justice. They call evil good and good evil. Nothing is ever enough. The men and women who stand in the fray, protecting us from things we can barely imagine, are the ones being vilified. The criminals who disregard justice, on the other hand, are exalted as paragons of virtue. Many good men and women are walking away from these jobs as protectors because they do not feel the sacrifice is worth it any longer. What we will get in their place is what many think already have—a corrupt, gestapo-like force. The leaders of our country consider themselves above the law, even though they are supposed to be beneath it, upholding it. When we allow those in power to flagrantly disregard truth and justice, the citizenry will follow suit. God, who is righteous and just, sees all these things. He will ensure that, one way or another, Justice has her day. We may never see that day while we live on this earth, but we have confidence that He will carry it out in His own good time. Thanks be to God that we are just passing through and belong to a kingdom that cannot be shaken. This week has been another reminder of the fragility of governments and of life. Put your trust in God. Take time today to pray for the families of the fallen. They need and deserve our compassion. Elihu spoke my thoughts in his post. Thank you for sharing this. God be with you. This is so, so true. Thank you for sharing. I’m linking to this on my Lazy Links feature tomorrow. God bless! Thanks for the link. This is a dark time. God be with you and bless you. Times like this I am glad my citizenship is in heaven and not here. Me too, Wally. Looking forward to being home. Thank you for this. Will be sharing on all media. “His kingdom come…on earth” now. Lord, have mercy on us. I agree with you…I don’t like to discuss world events, politics, etc. 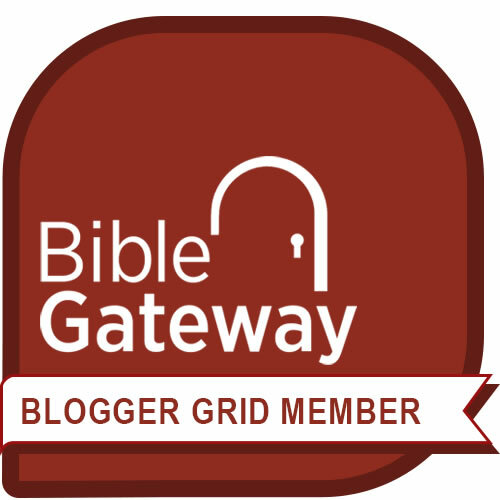 very often on a Christian-devoted blog. But sometimes I have to say something about something. I totally agree with your point of view here! In fact, I need to congratulate you for organizing some good points in this post! Good Job!! Thanks, Steve! I was a bit hesitant to write this, but I felt it needed to be said. God bless you!